A good beverage label can make your product pop! What are your labels saying about your brand’s beverage or food products? 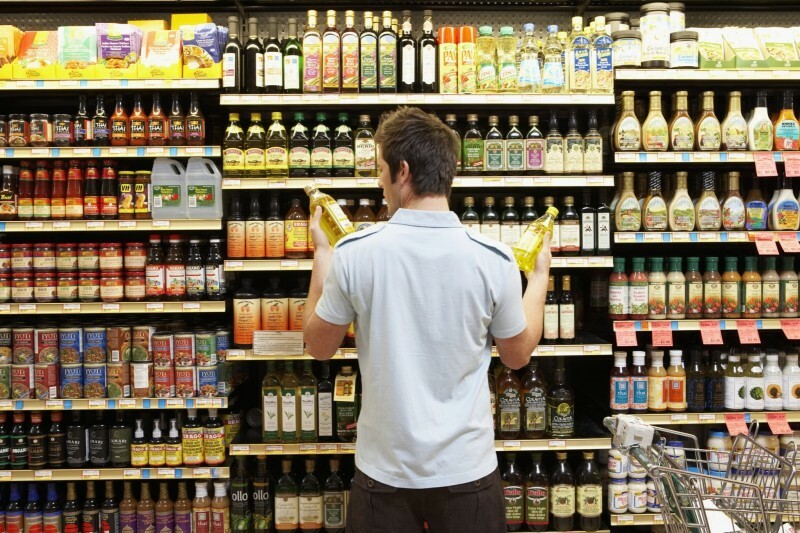 Did you know that your food & beverage labels can make the difference between a swift, passing glance and a purchase? We understand the need to stand out in this competitive environment. Considering industry standards and FDA regulations, your label needs might be complex, but T&L Graphic Systems’ food and beverage label solutions are simple. If it’s edible, you can label it. Think about the thousands upon thousands of food & beverage labels that are on products across the country. Whether you’re promoting or selling a new product or redesigning a current one, consider the benefits of custom food and beverage labels such as sushi labels, soup labels, freezer labels, sauce labels, jam labels, and much more. Not only is an allergy label important for obvious reasons, but using the right words, font, and colors can put your product in front of the others and increase the likelihood of a sale. If you are unsure as to whether you can create a food label for a certain size container like bottles of olive oil, snack bags, popcorn tins, spice jars, or something else, remember that if you can put a sticker on it, you can label it. It’s important to keep moisture and humidity in mind when choosing the right beverage label. From durable white and clear films to semi-gloss papers and upscale textured papers, it’s important to choose a custom label that can make your beverage stand out in the crowd. 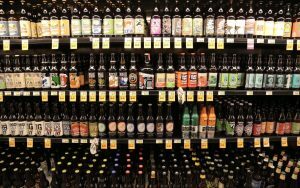 Depending on your application needs, you might find that cut-and-stack labels or pressure sensitive beverage labels are better suited for your brand, and working with custom label printing services for a juice label, water bottle label, wine label, or beer label can help to promote and sell your product. From the freezer to the cooler to the dry grocery section, a custom label manufacturer like T&L Graphic Systems has options for food and beverage labels that are limitless. People want to buy a product that not only looks great but one they can trust as well. When you invest in food & beverage labels, you can create the exact features you want to express through the packaging, and consumers will notice the pride you take with each and every product. Adhesion is one of five big factors that can have a negative impact on label performance. Here are five label applications and the factors that can have a significant impact on label adhesion. Labels can be successfully applied to nearly any surface: fabrics, film, vinyl, paper, plastics, glass, and more — but without the right adhesive, your label won’t stick. Containers that are exposed to hot or cold conditions during filling, rough and textured surfaces, small diameter and flexible packages can all cause edge peeling or worse. During the packaging process, some foods are injected into their containers at temperatures approaching 130-150° F. Care must be taken to select label stock and an adhesive that can beat the heat without experiencing edge lifting. Other types of food are packaged at low temperatures (25° F or less). An alternate temperature adhesive is recommended to prevent the label from separating from its package. Some products, such as motor oil, are packaged in flexible polyethylene containers that are quickly discarded after they are emptied of their contents. For this type of application, the label and adhesive must be able to withstand flexing and be low cost. When you’re specifying labels and adhesives for rough or textured surfaces, remember that only a fraction of the surface area of the label is making contact with the container. This can have a significant impact on the type of adhesive used. Medical labels must be designed to fit on tight circumference objects, such as test tubes. This requires labels and adhesives with a certain degree of pliability. Also, in some cases, labels must be removable. These unique needs require special adhesives. Large steel drums usually require big labels that not every label manufacturer can produce. Also, they are often exposed to environmental extremes – both heat and cold – as well as a variety of corrosive liquids that can affect their ability to remain adhered to the drums. There are specific materials designed for use on steel drums. Please contact us to learn more. What conditions it must withstand. Now that you have a better understanding of the ways in which adhesion can affect label life, why not download our new eGuide, How to Create the Perfect Label: The 5 Most Important Questions to Ask, to learn more about the other four factors. What kind of Food and Beverage Label can T&L Graphics make for you?